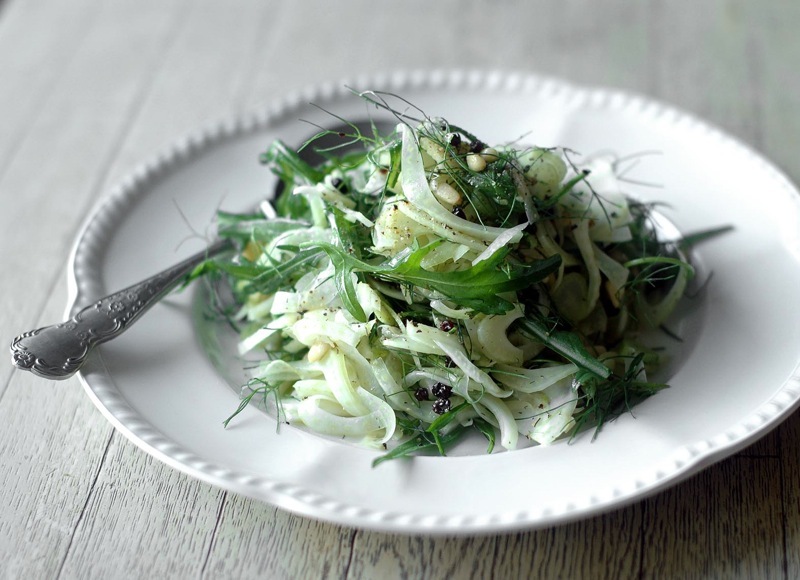 Aromatic, aniseed-flavoured fennel is one of the delights of the cooler seasons. It’s one of the few vegetables that is as delicious and digestible raw as it is cooked, and has a wonderfully crunchy texture that makes it a great base for salads. This salad is the perfect partner for a rich main meal: light and refreshing, the sharp tastes of lemon and fennel balance any overindulgence! 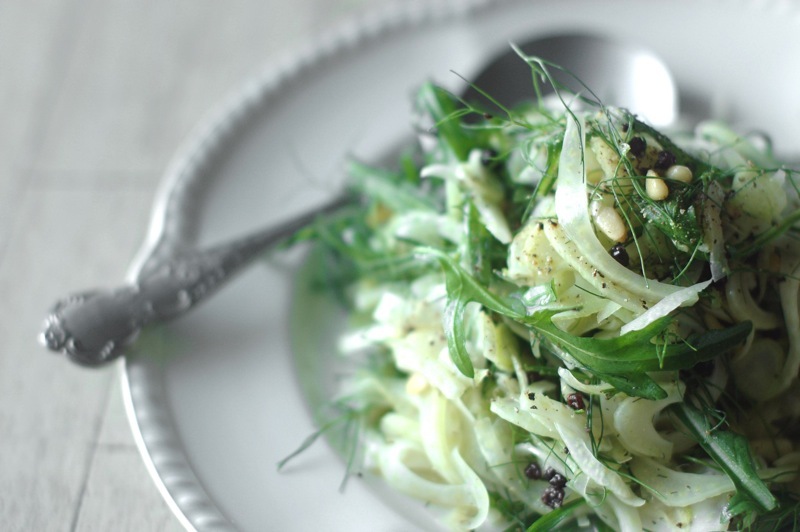 Fennel is a great source of calcium, magnesium, phosphorous, folic acid, vitamin C and potassium. It aids digestion (particularly the digestion of fat), freshens the breath and helps relieve stomach pains. 1. Combine lemon juice, olive oil, salt, pepper, dill and currants in a mixing bowl. 2. Trim the tops of the fennel, just above the bulbous body, and reserve about ½ cup of the most delicate fronds. Halve the bulb and trim any marks then slice as finely as you can (use a very sharp knife, vegetable peeler or mandolin to do this). Add the fennel to the mixing bowl and toss with the dressing to prevent it browning. 3. Toss in the fennel fronds, pine nuts and rocket leaves and finish with a good grinding of pepper.